How can you make sure your funeral and burial wishes will be carried out after you die? It is important to let your family know your desires and to put them in writing. Just don’t do it in your will. To help your loved ones follow your wishes after you are gone, you can write out detailed funeral preferences as well as the requested disposition of your remains. In addition to explaining where you want your funeral to be held, the document can include information about who should be invited, what you want to wear, who should speak, what music should be played, and who should be pallbearers, among other information. Making these decisions ahead of time can not only let everyone know what your wishes are, it can also help your family members during their time of grief. It may be tempting to include this information in your will, but a will may not be opened until long after the funeral is over. A will is best used for explaining how to distribute your property, not for funeral instructions. You can write your funeral and burial directions in a separate document or you may be able to put your wishes in your health care directive. Whatever you do, make sure your family knows where to find the information. If you don't make your wishes known, the responsibility for determining your funeral and burial rests with your loved ones. If you are married, your spouse is usually in charge of making the decisions. If you are not married, the responsibility will likely go to your children, parents, or next of kin. Disputes could arise between family members over what you would have wanted. 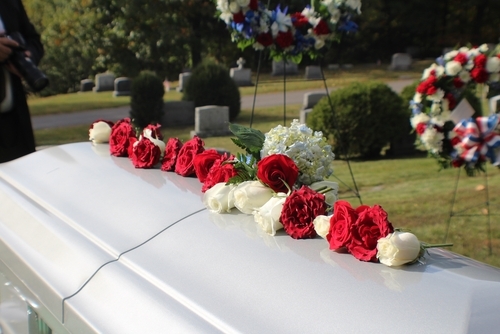 It is possible to make funeral arrangements ahead of time with a funeral home. However, be wary of pre-paid funeral plans. Consumers can lose money when pre-need funeral funds are misspent or misappropriated. A funeral provider could mishandle, mismanage or embezzle the funds. Some go out of business before the need for the pre-paid funeral arises. Others sell policies that are virtually worthless. For help with making your funeral wishes known, talk to your attorney. If you have long-term care insurance, brace for the possibility of a steep increase in premiums this year . . .